I’m dreaming of a ….great diner! 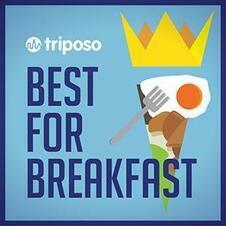 We did a breakfast show awhile back and were called to task for not including Dream Diner in Tyngsboro, MA. Having never been, we embarked on a diner adventure. For starters, the owner Marybeth Shanahan comes from diner royalty. I started working in my family’s diner business when I was 10 years old. I continued working in the business through my high school and college years. Not the ceiling fans that whir 10 feet above the red and silver booths. 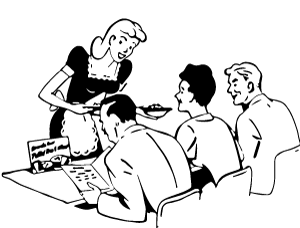 Not the two veteran waitresses, impeccable in their black uniforms and coiffed hair, gliding across the black and white checkered floor. 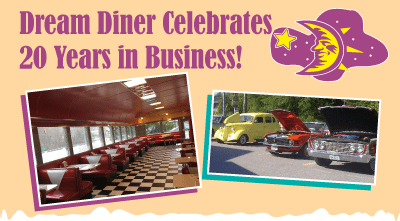 Read more: Dream Diner Celebrates 20 Years in Business!